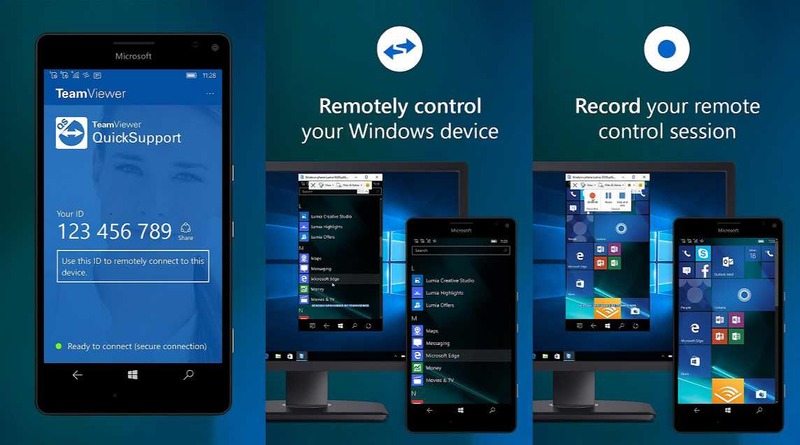 TeamViewer QuickSupport app now enables Remote Access to Windows Phones. TeamViewer now also supports full mobile-to-mobile remote connections regardless of platform. TeamViewer QuickSupport app is now the first to support remote access to Windows 10 Mobile devices. On the other hand, with the TeamViewer Remote Control app you can now remotely control and view an Android phone right from your Windows Phone. Download both apps from Windows Store or from the links below.